Path with Art employs over 25 professional Teaching Artists who are active in the Seattle arts community. Our Teaching Artists come from a wide spectrum of backgrounds and disciplines, and they share a commitment to art as a vehicle for positive transformation. Path with Art and its Teaching Artists strive to make our classes accessible, professional, and rewarding. Anna Bálint is the author of Horse Thief, a collection of short fiction spanning cultures and continents that was a finalist for the Pacific Northwest Book Award: also two earlier books of poetry. Her poems, stories, and essays have appeared in numerous journals and magazines. A novel, The Invention of Mária Horváth, rooted in the Roma experience of the Holocaust, is close to completion. She has taught creative writing for many years and in many places, including El Centro de la Raza, Antioch University, Richard Hugo House, and currently at Seattle’s Recovery Café. She is a non-fiction editor for Raven Chronicles magazine. Corrie Befort is a Seattle-based dancer, choreographer, designer, teacher, and filmmaker whose collaborative performance works have been presented and commissioned nationally, in Japan and Belgium. Trained through the Mark Morris Dance for Parkinson's Program, Corrie has been teaching through STG’s Dance for PD Program and offering her own programs in Anacortes and Port Angeles for the past five years. She holds an ACE certificate for Health and Wellness Professionals through the National Multiple Sclerosis Society, is a Certified Level 2 Autism Movement Therapist and has been teaching physical conditioning to dancers and non-dancers initially in Japan and now in the US since 2005. In early 2014 she taught improvisation, technique and scoring in the Inesperadamente Festival (Murcia, Spain). Corrie co-directs performance company Salt Horse with Beth Graczyk and Angelina Baldoz, LIMITS with Jason E Anderson, and collaborates regularly with composer Tom Baker. Her award-winning dance films have screened in festivals internationally since 2002 and she teaches filmmaking at Cornish College and through SYDC. Corrie builds movement-inspired, physically-activated visual art and effects, scenography and costuming. Artists she has worked with recently include Cherdonna/Jody Keuhner, Mark Haim, soloists working with Deborah Hay (Shannon Stewart, Mary Margaret Moore) and on commission from the EMP. Corrie recently presented a series of interactive movement scores within the Ann Hamilton The Common Sense installation at the Henry Art Gallery and is currently a soloist for Mary Sheldon Scott andThe Withing Project, premiering in 2016 and 2015. In the past year Corrie studied with Companie Marie Chouinard (Montreal), Ralph Lemon, Eric Beauchesne (Kid Pivot) and Michael Schumacher (Ballet Frankfurt) and worked as a back-country chef in the High Sierra Nevadas. She holds a BFA in dance from Cornish College. Gibson endorsed International Act, Camille Bloom has played the most premier venues in 11 different countries including Canada, The U.S., Germany, The Netherlands, UK, Luxembourg, Denmark, Panama, Belgium, Ireland and Iceland. 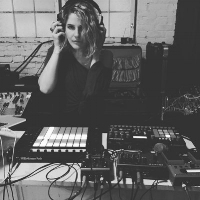 Combining percussive guitar and a voice that can ‘purr and wail’, Camille has shared the stage with artists Smashmouth, Metric, Chris Isaak, Shawn Mullins, The Weepies, and many more. Music Connection Magazine distinguished Camille in the Top 100 Independent artists of 2012 – and her latest album made the Top 10 Indie Releases by the Los Angeles Examiner. In the last 10 years, Camille has completed over 30 national / international tours and has been added to over 250 major and college radio stations throughout the U.S. and Western Europe: She also charted on the European FAR (Freeform American Roots) Charts in 2009 with other music greats Bob Dylan & Iron & Wine. In addition to touring full time, Camille takes time out of her schedule to direct a Rock n Roll camp for kids in Seattle. Known for her incredibly dynamic voice and vivid songwriting, Camille continues to wow audiences with her high energy and intensely personal show. Caroline Brown is a Teaching Artist with over ten years of experience developing and facilitating community-based theatre programs in the U.S. and abroad. In 2006, she received her M.A. in Theater and Media for Development from the University of Winchester, UK. Highlights of Caroline’s partnerships have included collaborations with self-defined AIDS widows in rural Kenya, incarcerated individuals and those in reentry in the U.S. criminal justice system, military veterans and their family members, and BABES Network – YWCA, a sisterhood of women living with HIV. Most recently, Caroline has worked with Seattle-based Path with Art, Recovery Cafe, Senior Housing Assistance Group (SHAG), Freehold Engaged Theater Program at the Washington Corrections Center for Women, and Organization for Prostitution Survivors (OPS). In addition to her work with SRT’s Student Matinee Program, Caroline is also the Lead Teaching Artist at Mary’s Place in partnership with our Public Works Seattle Program. Caroline is currently a faculty member at Cornish College of the Arts and The Art Institute of Seattle. Laurie D. Brown is Seattle-based printmaker. 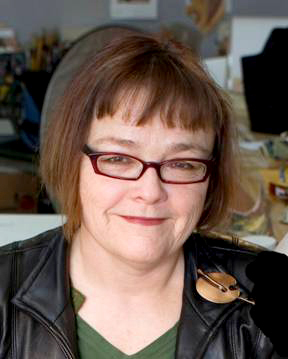 She holds a BFA in Printmaking from the University of Oregon and, since 1998, has taught printmaking at Stadium High School in Tacoma, Washington. In 1984, Brown co-founded Pressworks, a local printmaking cooperative that is still operational today. Brown has exhibited her prints nationally and internationally; her work is included in the collections of the City of Renton, Harborview Medical Center, and SeaTac, as well as many private collections. I have had three nonverbal careers. My creative life began as a professional modern dancer. After an additional degree I became an interpreter for American Sign Language, and now have been working as a visual artist for the past 26 years. Dance may seem an unlikely form of training for the visual artist, but ideas in the two disciplines are handled in surprisingly similar ways. Working with performance luminaries like Robert Wilson, Philip Glass, Lucinda Childs, and Mark Morris has had a profound influence on my visual work. Sign language also looks at 3 dimensional space in dynamic ways useful to developing a visual vocabulary. My present work is fiber based. The experience of cloth is universal as we are in constant contact with cloth, whether it is covering our bodies, used in sacred ritual, or looking at a flag. The glorious history of the quilt continues to fuel passion for its future possibility as a means of expression. I am interested in marrying the metaphor of quilt with a dedication to a personal vocabulary of visual images. Memorials and commemorations have been a central theme to my work. One body of work, the Marker series, consisted of 20 large quilts based on the text of gravestones of women buried in Washington cemeteries. For another series, Cover Them, I sought out 10 girls who shared my birthday who had died in the Holocaust, and made a memorial quilt to symbolically cover each one. I recently walked on earth in Lutowiska, Poland where my grandparents walked. I wanted to cover myself with the dirt. I wanted to fill a plane with the dirt from Lutowiska and bring it back to Seattle to cover my living room. I wanted to know them. I made the piece, Memory’s Main Gate. The images chosen for these pieces are artifacts of their lives, and artifacts from the generations that followed. I am passionate about translating ideas of life into visual representations, and I use fiber based media for my exploration. In 2011, I began working with Pat Graney at Mission Creek Correctional Facility in her program, Keeping the Faith, a non religious interdisciplinary arts program. Our team also worked with Seattle Housing Authority in a one year artists-in-residency program at Yesler Terrace. 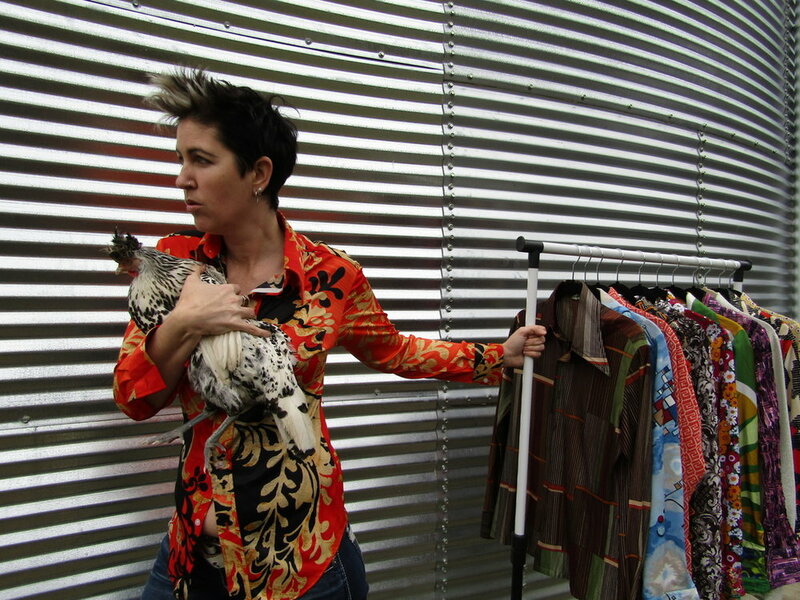 Michelle de la Vega is a Seattle based multi-disciplinary artist and community activist. Through installation, sculpture and mixed media she creates immersive environments that connect communities, illuminate voices and explore concepts that are personally and collectively relevant to the human experience. Michelle has developed an artistically and socially innovative model that integrates specific community groups into the generative processes of her cross-disciplinary installation projects. Delving into authentic partnerships through creative exchange, she draws meaningful connections through social engagement, research, and artistic vision. The focus of Michelle’s creative process and her exhibitions is on moving beyond commentary into experiential endeavors that reframe contexts and create transformation. Her multi-disciplinary practice includes highly crafted 3D, 2D and environmental design, relationship and partnership building, integrated conceptual process, video, performance art and choreography. Michelle’s visual art practice spans 24 years and a 19-year career as a dance and performance artist. She received her education from Otis Parsons in Los Angeles, CA, Cornish College of the Arts in Seattle, WA, and The South Seattle Community College Welding and Metal Fabrication Program. Jennifer Dixon is a cross-disciplinary artist whose work has been exhibited locally and nationally. Her artwork involves introspective exploration through the creation of small intimate objects, drawings, prints, and books and external or outward-focused investigations of communities and places realized through the generation of larger public artworks. She has received several public art commissions and her work may be viewed in various places throughout Seattle. Jennifer received an MFA in Sculpture from the University of Washington, a BFA in painting and drawing from Minneapolis College of Art and Design, and studied painting and drawing in Aix-en-Provence, France. She has received a number of awards including Seattle Art Museum’s Betty Bowen Special Recognition Award. Jennifer especially enjoys assisting students in developing work that reflects their unique and personal experiences and she is honored to be part of the teaching staff at Path with Art. Candace Doyal fell in love with photography around age 17, concentrating on anything in her view. In 2014 she graduated from Seattle Central Creative Academy with a degree in commercial photography. She is a storyteller in image and word. Her first book explores her own story. Her ongoing work explores the stories all around us, a conversation about tragedy and loss, hope and joy, an evocation of the human connection. This is how we begin to heal. An award-winning instructor (the University of Washington, Educational Outreach award for Excellence in Teaching in the Arts and Humanities 2006), Scott Driscoll holds an MFA from the University of Washington and has been teaching creative writing for the University of Washington Professional and Continuing Education for twenty years. Scott Driscoll, an award-winning instructor (the University of Washington, Educational Outreach award for Excellence in Teaching in the Arts and Humanities 2006), has an MFA from the University of Washington and has taught creative writing for the University of Washington Continuing and Professional Education for twenty-one years and makes his living as a writer and teacher. His debut novel, Better You Go Home—Coffeetown Press, Oct. 2013, a story that grew out of the exploration of the Czech side of his family in the 1990s after Eastern Europe became liberated, won Foreword Reviews First Book Contest, March 2014. Driscoll freelances stories to a variety of magazines, both commercial and literary. Driscoll has won nine Society of Professional Journalists awards, including most recently in 2014, first place in Arts and Entertainment reporting for the western U.S. region and in 2009 for social issues reporting, and best education reporting 2004. He was cited in the Best American Essays, 1998, for his creative nonfiction essay, “The Intruder,” in the Seattle Review, and won the University of Washington’s Milliman Award for Fiction, (1989). His short stories and narrative essays and profiles have been published extensively in literary journals and anthologies, including a profile in Poets and Writers Magazine, “Eleanor Dickinson’s Portraits of the Soul” in Image Magazine, “An American Adolescent in Paris” in Far From Home (published by Seal Press), “Black Rhinoceros” in Ex-Files: New Stories About Old Flames (published by Context Books) the Seattle Review, Crosscurrents, Cimarron Review, The South Dakota Review, Gulfstream, Oxford Magazine, American Fiction ’88 and others. Driscoll freelances feature stories to magazines including Alaska and Horizon Airlines Magazines (for a recent example see Web site pdf for “College Bound” in Alaska Air Magazine), and including an October 2010 profile for Ferrari Magazine 11. To read a few samples of fiction, creative nonfiction, or feature journalism, please visit: www.scott-driscoll.com. Matt Gano is author of Suits for the Swarm, a poetry collection from MoonPath Press, co-founder of the Seattle Youth Poet LaureateProgram, and the principal bricklayer of Abbey Arts' NEXT STAGE program. 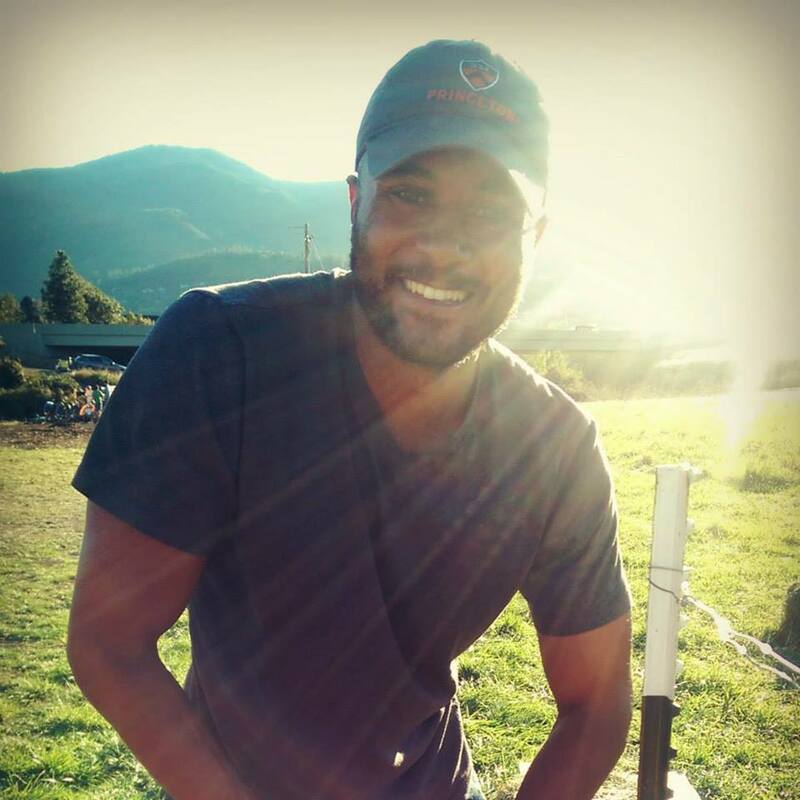 He is also a writer-in-residence for Writers in the Schools (The Center School), and a teaching artist for the Skagit River Poetry Foundation. 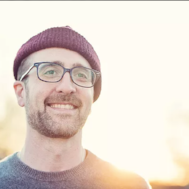 Matt’s dynamic work has led to recent invitations as a panelist and featured poet for the Skagit River Poetry Festival (2018), instructor for WRITE Doe Bay, and faculty member for the LiTFUSE writer’s conference. Skúli Gestsson is a musician and music teacher from Seattle. Before moving to Seattle he had enjoyed a successful career in popular music in his home country of Iceland. He founded rock band Dikta in 1999 and it has been active ever since, releasing five albums, one of which reached platinum status. The band won the Icelandic Music Prize in 2010 and 2011 and has toured internationally. Alongside his successful 17 year career in rock music, Skúli has been a music teacher in Icelandic schools since 2008, co-written textbooks in music, and was a curriculum consultant in Björk's Biophilia Education Project which was implemented in all of the 7 Nordic countries recently. He is currently pursuing a doctoral degree in music education from the University of Washington. Catherine Gill has lived and worked in the Pacific Northwest for 30 years. She paints on location in watercolor, oil, and pastel, and is also a printmaker. Catherine teaches painting and printmaking in her studio in Seattle, as well as throughout the United States and many other countries. Her artwork and current list of workshops and videos can be viewed on www.catherinegill.com. Her artwork has been exhibited nationally and throughout the world. Catherine is co-founder of Art Partners International, dedicated to bringing together artists and art of different cultures. She is a member of Northwest Watercolor Society, Women Painters of Washington, Plein Aire Painters of Washington, Seattle Print Arts and Print Arts NW. Her book on landscape painting, Powerful Watercolor Landscapes, with writer Beth Means, was released by Northlight/F&W Publications January 2011. Her work can also be found in Art Journey America: Landscapes (F&W) Kipp, December 2011. Short instructions videos are available on her website, and just released are 2 new DVDs, available mid November, all through Candy Corn Productions. Alice Gosti is an Italian-American architect of experiences. While her background is mostly in dance and choreography she uses all media to create a cohesive environment in which the viewer is invited to both experience and perform. Gosti’s work has been presented and commissioned by universities, galleries, theaters and festivals worldwide. Dance Magazine has described her work as "unruly yet rigorous, feminine yet rebellious, task-like yet mischievous." You can learn more at Alice's website, http://gostia.com. I have been a freelance actor, director, and educator for the past thirty years. Most of my work has been with original scripts which has brought me to The Sundance Playwrights Lab, WordBRIDGE and directing in Florida, Massachusetts, New York, West Virginia, Utah and Wyoming. Here at home I am the Artistic Director of the Mae West Fest and I am the Department Chair of the Theatre Department at the Northwest School. Path with Art reminds me on a daily basis of why I chose theater in the first place. To experience joy, to create empathetic thinking, to connect, and to always approach work in the spirit of play. Devon Midori Hale is an artist from Seattle, Washington. She grew up in Capitol Hill and now lives in the Central District near her high school alma mater, James A. Garfield. She earned her BFA in Drawing and Painting from the University of Washington in 2009. In 2014 she attended the Jentel Artist Residency in Wyoming and later won first prize in the 2015 City Arts Winter Art Walk Awards. Her work examines themes such as family history, intergenerational experience, and mixed-race American identity. She believes that painting is about visual experience and the cultural-personal expression of reality. Devon is also an artist of Building Bridges Arts Collaborative, a non-profit that creates massive community-based murals and supports emerging artists. Recently, she has been in deep collaboration with artists and dancers at Pat Graney Company, working in women’s prisons and in Seattle's Yesler Terrace community. As a woman over sixty, I live with our culture’s campaign for my disappearance. As an artist, I defy it. I look in the mirror and I paint images of myself, large canvases that put my aging face on display. I do believe art saves lives and ignites possibility. Although I have made art all my life, I received my MFA from Johnson State College, through the Vermont Studio Center in 2007. I have shown work nationally, including Seattle Art Museum Gallery, and The Painting Center, New York City. I love teaching at Path with Art because I am dedicated to staying authentic in my art practice. This work helps me do that and I am grateful. Tara Hardy is the working class queer femme poet who founded Bent, a writing institute for LGBTIQ people in Seattle. She's taught creative writing for fourteen years, and she's served as the Hugo House writer-in-residence. Her first full length book of poems, Bring Down the Chandeliers, was published by Write Bloody Press in the spring, 2011. Denise Henrikson has been making things and making things happen for longer than she can remember. She was one of the early instigators of the Fremont Summer Solstice Parade and was on the team that was awarded Neighborhood Matching Funds to build the Fremont Troll. ArtsAGlow, a lantern festival Denise launched in collaboration with the City of Burien in 2007, received the Spotlight Award for Excellence in Arts and Cultural Programming by Washington State Parks and Recreation in 2015. During the ShellNo Campaign in Seattle, Denise coordinated the World Environment Day Luminary Flotilla with the Backbone Campaign. Denise holds a MA in Human Development from Pacific Oaks College and a BFA from Virginia Commonwealth University. She lives in West Seattle with her husband and daughter and a large school of illuminated windSockeye that traveled to the Paris Climate talks in 2015 to help amplify the voices of those who have no voice. Patrick Howe is an artist, author and teacher. His artwork hangs in corporate and private collections. He graduated from Pacific Northwest College with a BFA, in 1974. In 1975 and 1976 he exhibited in the Northwest Annual art show, at the Portland Art Museum. In 1981 he had a one man show at the Loveland Art Museum, Loveland, CO. In 2006 his book “Dramatic Light” was published. In 2004 he won the Best Artist Award at Bellevue Arts & Crafts Fair, Bellevue, WA. In 2014, his book “The Awakening Artist: Madness and Spiritual Awakening in Art” was nominated for the Robert Motherwell Book Award for outstanding and original thinking on the topic of Modernism in Art. From 2004 to 2014 he owned Patrick Howe Gallery, in Seattle. There he exhibited his artwork, taught painting and drawing classes. Patrick was born in Portland, Oregon and has been living in Seattle since 1981. Rachel Kessler, co-founder of poetry-performance collaborations Typing Explosion and the Vis-à-Vis Society, likes to sneak poetry into non-traditional venues: she has performed interactive poetry in parks, on buses, disguised as a tree, on board water taxis, in phone booths, hair salons, and abandoned motels. Her Public Health Poems project can be found in public restrooms throughout the city. Recently, the Frye Art Museum exhibited her collaborative installations. Her text-based visual art has exhibited in Sea-Cat and The Open Daybook, and her poems and non-fiction have been published in Tin House, USA Today, Poetry Northwest, City Arts Magazine, and elsewhere. She is currently writing a book about puberty and religion. Afua Kouyate, is a cultural innovator who provides many layers of culture to the general public. Afua began her career as a dancer at the tender age of 9. Since then she has trained extensively with some of the best dancers in the world. She has been trained by teachers from Guinea, Nigeria, Ghana, Zimbabwe, Senegal. Jonah Kozlowski is a filmmaker and educator who specializes in documentary storytelling. He has been working in educational and innovative media programming since 2005. 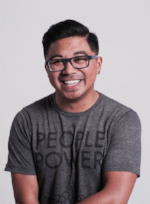 Jonah holds degrees in Communication and Anthropology from Washington State University and is currently the Education and Artist Services Manager for Northwest Film Forum. He is a regular Teaching Artist with Coyote Central and serves on the board of the Seattle-based non profit ChangeStream Media. 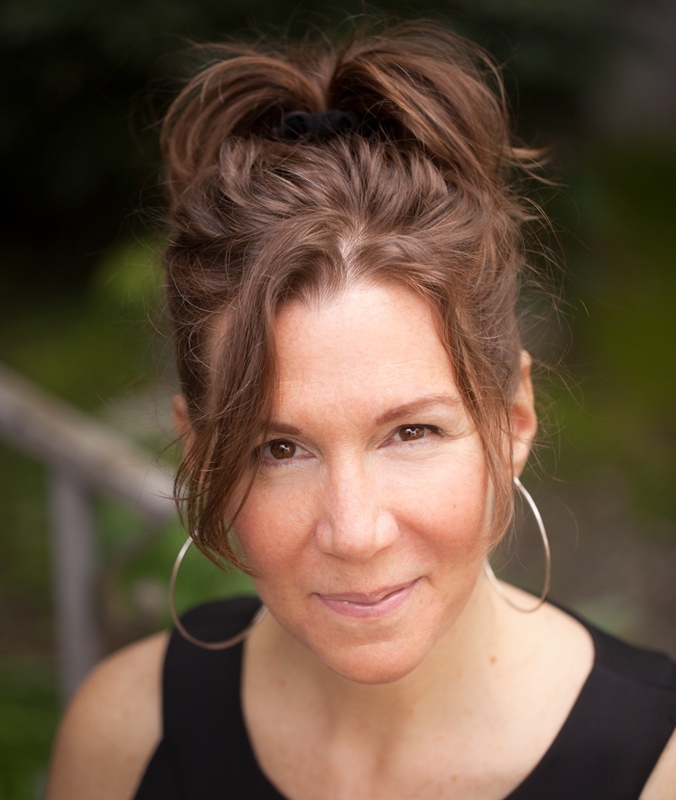 Deborah Faye Lawrence, MFA teaches in Seattle University’s Arts Leadership MFA Program. A longtime arts educator who uses humor and satire to look beneath the surface, Lawrence has taught courses for the University of Washington, Lesley University, UCLA Arts Extension, Seattle Public Schools, Seattle Children’s Hospital, Seattle Children’s Museum, Exceptional Children’s Foundation, and others. 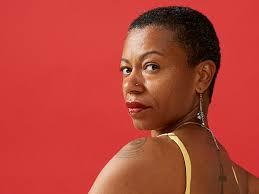 As a socially engaged artist she has received funding from The Creative Capital Foundation, Pollock-Krasner Foundation, Puffin Foundation, Artist Trust/Washington State Arts Council, WESTAF/NEA, Seattle Office of Arts & Cultural Affairs, Los Angeles Department of Cultural Affairs, and California Arts Council. Her artwork has been widely exhibited, and reviewed in Art in America, Sculpture Magazine, Artweek, Art Papers Magazine, Rolling Stone, Time Magazine, The Washington Post, Los Angeles Times, L.A. Weekly, The Stranger, and Seattle Times. A native of California, she has lived with her husband in Seattle since 1993. Christopher Mena is currently a PhD student in Music Education at the University of Washington, Seattle. He is a co-author of the book World Music Pedagogy Vol. IV: Instrumental Music Education and a Smithsonian Folkways certified World Music Pedagogy educator. He is also a recipient of the Distinguished Music Educator award from Yale University. His group Son de San Diego recently released an album titled Fingertip Carnival in collaboration with founding member of the Silk Road Ensemble, Wu Man. Multi-talented musician, producer and composer — is a native of Salvador, Bahia, Brazil. Mendonça received his degree in Arts Education from the Music Institute of the Catholic University of Salvador and has performed for former South Africa President Nelson Mandela, Brazilian President João Baptista Figueiredo and Pope John Paul II. In 1991, Mendonça was featured in Paul Simon’s music video, "Born at the Right Time." Eduardo is Artistic Director for international performance ensemble Show Brazil!, and heads his own Kirkland-based company Show Brazil Productions, which promotes Brazilian culture and provides Portuguese voice-over talent for CD-ROMs and videos exported to Brazil. Eduardo is a 2007 winner of “Outstanding Brazilian Male Singer based in the U.S.” by the Brazilian International Press Award. Eduardo Mendonça received from the Congressman Jim McDermott the 2009 Ethnic Heritage Council "Spirit of Liberty Award", as recognition for his outstanding contribution to his adopted country, the U.S.A., while maintaining his ethnic heritage. Erica Merritt, began singing and performing at the age of 5. She wrote her first memoral song at the age of 6. In middle school, she was featured in a band called “Starlighters,” which consisted of three student vocalists and a few members of the faculty. At 14, she was selected to be a part of theatre and music performance groups at Langston Hughes Cultural Arts Center. She studied voice and music in college, and began teaching choir through Northwest Folklife in 1998. She has continued to teach individual voice, songwriting, choir and specialized Voice Body Rhythm classes through various art organizations such as ArtsCorps and MoPop over the last 20+ or years. Erica has also worked simultaneously, in the field of social and human services for over 20 years and has enjoyed the amazing opportunity to combine her passions of social well-being and music through the art of teaching" Teaching has been stated to be Erica's favorite gift and ability. Erica believes the power of Words and Sound can heal the heart. Orlando is a Seattle-based professional musician, educator, and songwriter. For the past fifteen years, Orlando has been preoccupied with musical-theater and theater education. Kristen Ramirez is a studio and public artist who makes work about place and identity. She aims to annihilate the viewer with color, symbols, and iconography borrowed and re-appropriated from our culture of commerce. Ramirez earned a Masters in Education at San Francisco State University and a Masters in Fine Arts from the University of Washington. In addition to her teaching work with Path with Art, Ramirez has taught at Cornish College of the Arts, University of Washington, Pratt Fine Arts Center, Edmonds Community College, and Tacoma Museum of Glass. Anastacia Reneé Tolbert is a queer writer of color, performance artist, creative writing workshop facilitator and activist. She is the current Civic Poet of Seattle and former 2015-2017 Poet-in-Residence at Richard Hugo House. She has received writing fellowships from Cave Canem, Hedgebrook, VONA, Artist Trust and Jack Straw, as well as a writing residency from Ragdale. Her theatrical mixed-media project, 9 Ounces: A One Woman Show, is a multivalent play unapologetically downward dogging its way through class, race, culture, oppression, depression, survival and epiphany. Anastacia-Renee is the Author of Forget It (Black Radish Books), (v.), (Gramma Press) 26, (Dancing Girl Press), and Kiss Me Doll Face (Gramma Press). Answer(Me) (Winged City Chapbooks, Argus Press) is forthcoming in September 2017. Her work has appeared in: Revise the Psalm, Work Celebrating the Writing of Gwendolyn Brooks, Split this Rock, Painted Bride Quarterly, Crab Creek Review, Seattle Review, Bone Bouquet, Duende, Synaethesia, Banqueted and many more. Susan Russell is an artist, Real Change vendor, and founding member of the artists’ collective, Love Wins Love. After living on the streets of Seattle- King County off and on for over 10 years, she now lives in permanent housing and uses art, love, and light to build bridges between disparate communities. 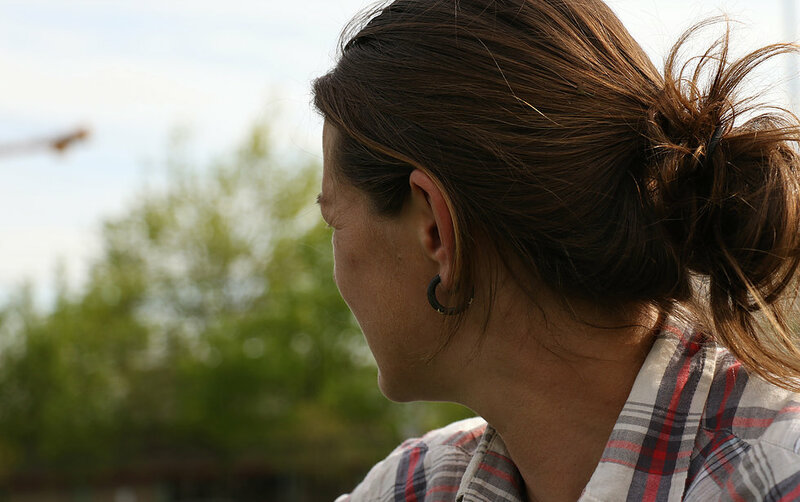 Susan is a graduate of the Housing Alliance's Emerging Advocates Program, the City of Seattle's People’s Academy for Community Engagement and SeaDruNar’s Behavioral modification program. Susan’s story has been featured in A Storytelling Project sponsored by Real Change News. Jason Sanford is an actor based in Seattle, WA. His most recent role was playing Will in a production of Terrence McNally's Mothers and Sons at ArtsWest. Other roles include Howard in Death of a Salesman (Arts West), Gbatokai in Festen (New Century), Orlando in As You Like It (Wooden O), and King Ferdinand in Love’s Labour's Lost (Seatte Shakespeare). He has also worked at Book-It, Shakespeare Santa Cruz, Shakespeare & Company, and OSF. He is a proud graduate of the PATP program at the University of Washington. "I speak for the trees...and they speak to me!" The energy of creation is a powerful thing and one with which I love experimenting through art. My greatest joy comes from helping others do the same, which is why teaching has been one of my lifelong passions after graduating from Art Center College of Design with a BFA. And nowhere have I seen the healing powers of creativity in action the way they are at Path with Art. It is a true privilege to be a part of this amazing organization; we are all blessed by its existence! After studying art in Holland, France and England Lana returned to Seattle to finish her degree in painting and ceramics. Since graduating from college she began her career as an artist and art teacher beginning with young children and more recently with adults. Lana thrives on the mutual exchange of creativity that comes from her collaborative work with students. And believes the arts are an essential part of being human. Lana has exhibited her paintings and ceramics in many galleries and venues through the Northwest. April Ulinski is a poet and facilitator focusing on the hospitality of the word. As a former writer-in-residence of Grunewald Guild, a Community Arts Training Institute fellow, and a graduate of Partners for Youth Empowerment’s certificate course in creative facilitation, she believes that the voice, the word, and the body come together to remind us all that we belong to each other. After graduating with her B.A. in creative writing and a self-designed minor in linguistics, she spent time living in France and St Louis, MO, until discovering the magic that happens when a group of people get together in a room to share their stories with each other. Among other places, she has been published in Catch, the oldest continuously-published literary journal in the country, and has performed at such poetry series as the award-winning Goodie House. Most importantly, she has been encouraged by friends, family, and mentors who have believed in her. The arts belong to all of us, and it is her delight to witness and celebrate the courage and talent of Path With Art performers, artists, and writers. Nikki Visel is a Seattle actor most recently seen performing the role of Westmoreland for Wooden O’s summer production of Henry IV, pt I. In February 2016, she performed at the Taproot Theatre in Silent Sky where she portrayed the real life scientist Annie Jump Cannon. Nikki also serves as a teaching artist for Seattle Shakespeare Company and Taproot Theatre Company, thriving on the collaborative process that theatre demands. She believes art is required to thrive and has a deep and vital affection for the Path with Art community. With the multi-purpose tool of the creative arts in one hand, QoQo carries in the other a passion for inspiring students and supporting their journey towards self-efficacy through teaching, coaching, counseling, and supporting the process of individuals finding their strengths across a range of abilities, learning differences, and neurodivergencies. QoQo has over 10 years of teaching experience including in and for community art programs (TUF, GEEK Girl Con), spaces of incarceration (KCCF, Creative Writing and Transitions Group for Women), sentencing alternative programs (Creative Writing Group and Transitions Group at CCAP), community mental health programs (Reentry Transitions Group, Sound Mental Health), private practice (North Seattle Private Tutor), and is an active artist in the community with a background in classical, pop and jazz and a current focus on electronic music. QoQo is also a member of TUF, a collective that focuses on uplifting marginalized folks including people of color, women, queer, trans, and gender nonconforming identities, and is currently on the team to organize the educational programming at TUFFEST 2018. "To capture the essence or spirit of a subject- to create an image in as few spontaneous brush strokes as possible- this is what challenges and intrigues me with the process and beauty of sumi art. Using brush and ink with it’s wonderful tones to transport this flow of energy, which ultimately comes from my own spirit, brings me a sense of joy, a sense of peace." Lois Yoshida is an artist who received her BS degrees in Medical Technology and Microbiology from the University of Washington. She studied with sumi-e master Fumiko Kimura and master calligrapher Mary Shizuka Bottomley and is active in the Puget Sound Sumi Artists organization (past president). Her award-winning sumi paintings have been exhibited in group shows, solo exhibits, and juried shows in the Northwest and internationally. Her work can be found in private collections in Washington, Oregon, California, Hawaii, and Maine. She teaches at the Frye Art Museum in Seattle, South Seattle College, the Kirkland Arts Center, and Path With Art as well as her studio in Tacoma. Stuart Zobel is a guitarist and composer that emphasizes in Latin American and theatrical music. He has played, composed, and directed music for Seattle’s Moisture Festival, Fremont Players, Cirque du Flambe, among others. He keeps busy playing choro, tango, samba, and bossa nova, as well as teaching guitar and Spanish classes.